Fall River Police are looking for an armed and dangerous suspect from a shooting earlier this year while arresting another involved in the investigation. 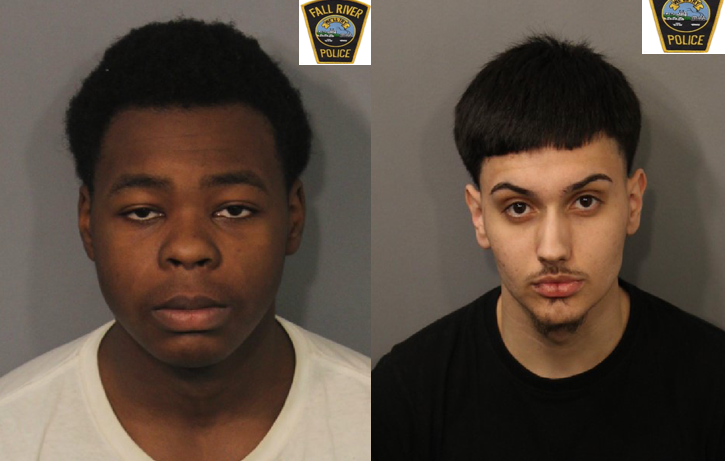 According to Fall River Police, on January 22nd at approximately 1:00 p.m. a shooting took place in broad daylight on South Main Street in our city. At that time, the suspect fled the area. After an exhaustive investigation, lead investigator Detective Dwaine Cabeceiras along with members of FRPD Major Crimes and Special Operations Division pieced together numerous witness statements and security camera footage to identify a suspect and obtain a warrant for the arrest of that suspect. If you see Jette, call 911 immediately, he is considered to be ARMED and DANGEROUS. As part of the South Main Street investigation, On Wednesday, February 6th at approximately 11:45 a.m., Officers Gregory J. Homan and Erick Bettencourt of the Special Operation Divisions Gang Unit were canvassing the area of Tecumseh and Blackstone Streets when they observed 18 year old Kevin M. Nunes. Nunes is a person of interest with possible connections to the Snell and Terrance Streets shooting on 01/30/2019 and the 12/26/2018 Tecumseh Street Shooting. Officer Homen circled the block and while traveling east on Tecumseh, both Officers observed Nunes walk up a stairway on the east side of a residence. Officer Homen parked the cruiser, and both he and Bettencourt exited and walked toward the house. When they reached the house, they observed Nunes walking out to the sidewalk from the west side of the house. Officers approached Nunes, who appeared startled, was breathing heavily, and was visibly nervous to the point his hands were shaking. Knowing Nunes lived at 224 Kennedy Street, Officers asked him about his purpose for entering the Tecumseh Street yard. Nunes replied he was “in a bad mood” and “just out for a walk”. Knowing the area was the scene of a recent shooting, Nunes’ residence being on Kennedy Street, and his visibly nervous condition, Officers detained Nunes and had him sit on the curb. Officer Homen went to the rear of the house while Officer Bettencourt questioned Nunes about who lived in the house and who he was there to visit. Nunes didn’t reply but began sending and receiving text messages. While in the rear of the residence, Officer Homen observed trash barrels, furniture, children’s toys, trash, and cardboard boxes. Behind the boxes against the house, he observed a firearm. As Officer Homen made the discovery, Nunes took off running, but was quickly apprehended several yards away by Officers Jose Dapedra, Michael Hadaya, and Bettencourt. Nunes was subsequently transported to the Police Station. While being booked on the firearms charge, a call was dispatched that there was a breaking and entering in progress at 224 Kennedy Street, the home of Nunes. Witnesses stated two men, one Caucasian about 5’10, wearing a black ski mask, black jacket, and blue jeans, and another male described as black about 5’10”, wearing a black ski mask, brown jacket and blue jeans were observed coming up from the basement. After a confrontation, the males fled in a Black Lexus. There were no signs of forced entry, nothing appeared to be missing. A consent search of the residence was performed with the permission of the residents with the exception of Nunes’ room. No further evidence was located. The vehicle used by Nunes was located a block away from where he was arrested and the owner of that vehicle gave consent to search it before he took possession of it. Officer Hadaya located two large bags of marijuana (approx. 2 lbs total), Officer Dapedra located a scale and Detective John McDonald located ‘GLAD’ sandwich bags in the vehicle. The owner of the vehicle stated those items were not there prior to him letting Nunes use the vehicle. A search warrant was obtained for Nunes’ room on Kennedy Street. 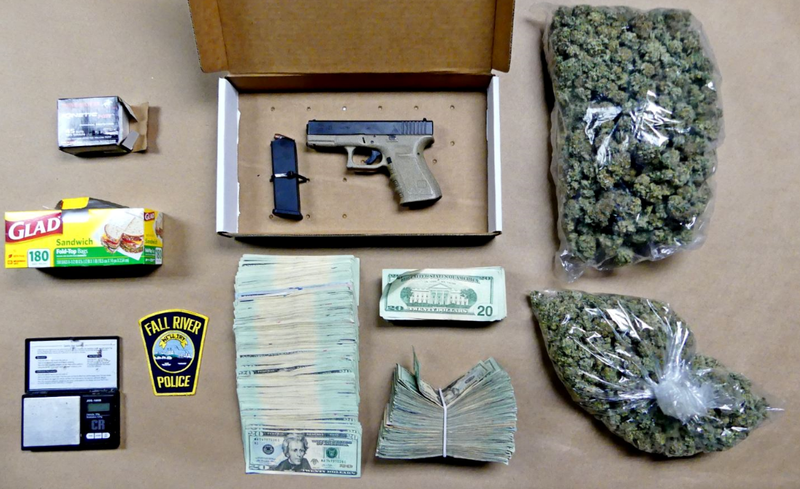 There police located over $19,000 in cash and 2 rounds of ammunition for a firearm and a small amount of marijuana.